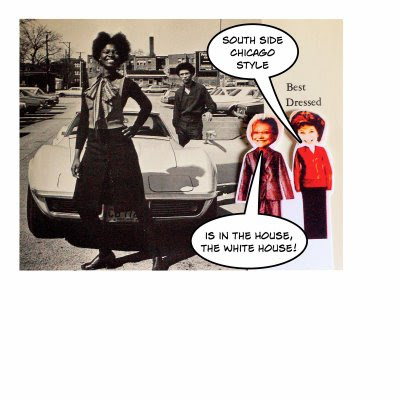 Twin Speak:DressCode: Michelle Obama's Neighborhood: This is How We Do It! Michelle Obama's Neighborhood: This is How We Do It! For those of you who want to know what it means to be a stylish Chicago South Sider, peep this photo from Phoebe's high school yearbook. The school is a couple of blocks away from Michelle Obama's childhood home. Thought our readers and those who love Michelle O's style influences would appreciate this context.